The BOSE F1 Model 812 and subwoofer in one package. 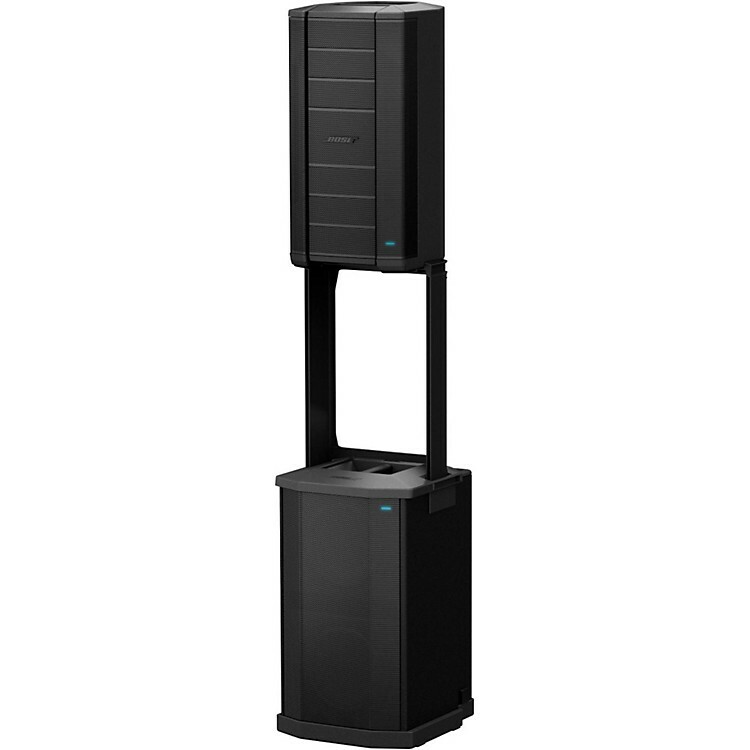 Get the F1 Model 812 Line Array speaker system and the F1 powered subwoofer together in one package. The BOSE F1 Model 812 Flexible Array Loudspeaker is the first powered portable loudspeaker that lets you control its vertical coverage pattern. Simply push or pull the array into position to create œStraight, œC, œJ or œReverse J coverage patterns. And once set, the system automatically changes the EQ to maintain optimum tonal balance for each coverage pattern. So whether youre playing at floor level, on a stage, or facing raked seats or bleachers, you can now adapt your PA to match the room. With 1,000 watts of power, the BOSE F1 Subwoofer packs all the performance of a larger bass box into a more compact design thats eas to carry and fits in most cars. A mounting stand for the BOSE F1 Model 812 Flexible Array Loudspeaker is integrated right into the body of the subwoofer, so you always know where it is, making setup fast and easy. The stand even includes cable channels to neatly hide the wires, giving your system a clean, professional look. And now getting your unit to the venue is easier, too. The F1 Subwoofer features strategically placed handles for easy transport.